FOR A LITTLE INSPIRATION ON THIS TUESDAY, I’M SHARING THE EXTERIOR OF THIS BEAUTIFUL HOME. 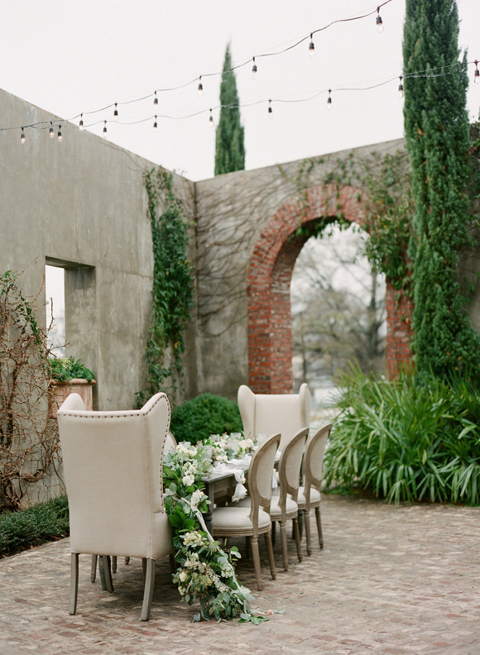 LOVE HOW THE EXTERIOR MARRIES MODERN WITH TRADITIONAL — GORGEOUS! THE MIX OF SIDING AND BRICK ADDS GREAT TEXTURE! BLACK DOWNSPOUTS AND GUTTERS IN ZINC LOOK GREAT WITH THE WOOD SHINGLED ROOF AND WHITE EXTERIOR. LOVE THE FONT AND SIMPLICITY OF THE ADDRESS — IT WORKS WITH BOTH MODERN AND TRADITIONAL STYLES. I love this woven trend going on — from light fixtures to rugs and chairs — it’s all gorgeous. On my recent trip to Mallorca I noticed a lot of woven influences. I saw tons of gorgeous light fixtures, rugs and baskets. I feel adding some natural fiber accents can work for anyone’s home and love how it can evoke a sense of vacation and relaxed style of living. If you’re looking to add a pop of color or that little something that will give your dining room new life, consider adding two wingback chairs. Not only are they incredibly comfortable but they also add a wonderful layer of interest. 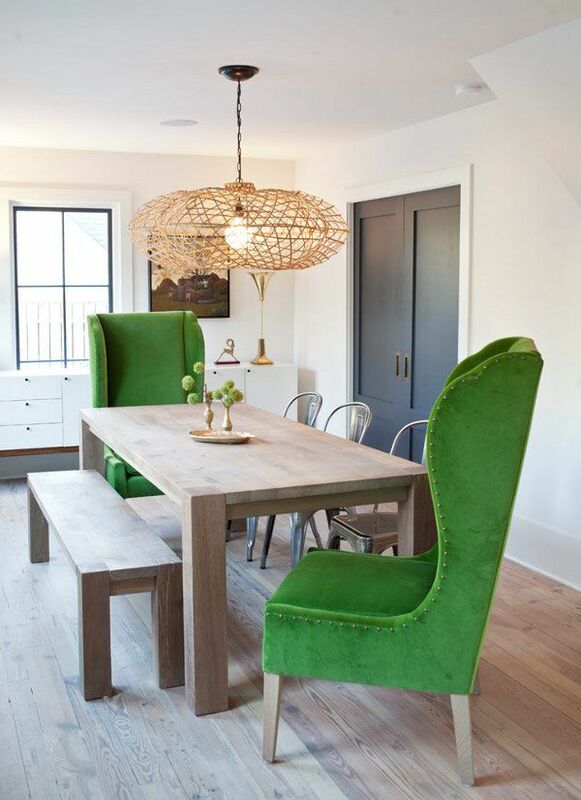 Above, gorgeous green wingback chairs that add a lovely pop of color to this dining room. Or, how about this gorgeous set up — which can be easily translated to a dining room setting. Some of my favorite wingback chairs on the market…. If you are working with a tight space, you can use any upholstered chair (as in the photo below). The idea is just to add a bit of interest and in this case, something comfortable as well.